After a walk around the village, E & G Pastry and Fine Cakes is your reward. 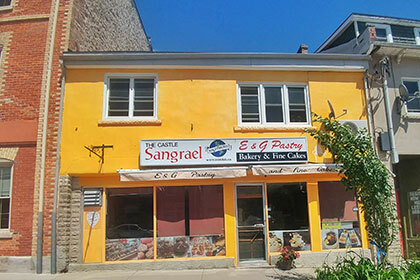 The smells of fresh baking will lead you up the hill of Metcalfe Street where you can indulge in the light, flaky delights of fine pastries, croissants and Danishes, or hearty loaves of artisanal breads. European influences give this bakery an authentic flavour created in the artisan traditions, giving E & G Pastry and Fine Cakes a worldly flare in a small town.